Ivanka Trump's quote of a Chinese proverb — "Those who say it can not be done, should not interrupt those doing it." — prompted a search for the original source. 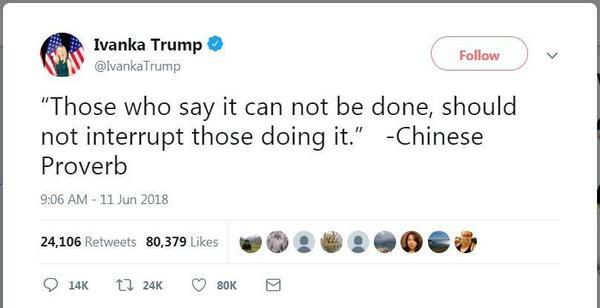 After presidential adviser Ivanka Trump tweeted what she called a "Chinese Proverb," many in China (and beyond) tried in vain to track down the quote's author. 临渊羡鱼不如退而结网 — It's better to knit a fishnet instead of standing by the river and hoping for fish. 观棋不语真君子 — Don't give advice while watching others playing a chess game. 勿以善小而不为 — Don't ignore small acts of kindness simply because they seem trivial. 己所不欲，勿施於人 — Don't force others to do things you don't want to do yourself. 吃不到葡萄说葡萄酸 — If you haven't tasted the grapes, don't say they're sour. "Did you get that from a fortune cookie?" "Don't mistake something as a Chinese proverb simply because it's written in Chinese characters." "Many foreigners make up Chinese proverbs much like we make up English ones." "I think Jack Ma said that." 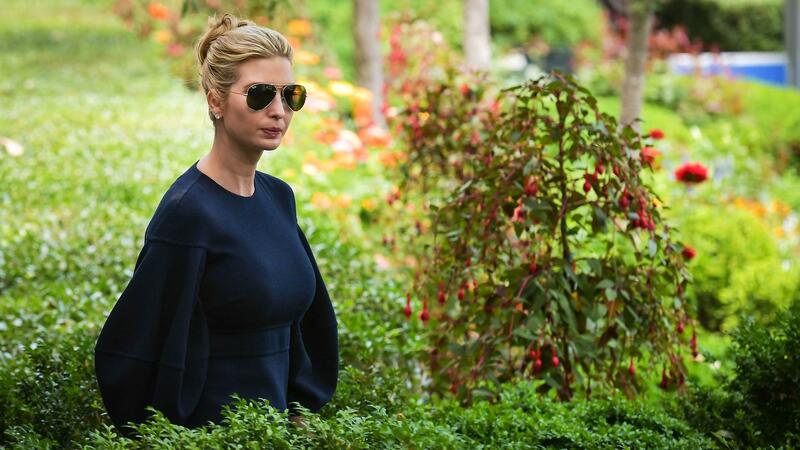 "A Chinese proverb from Ivanka has killed the brain cells of Chinese netizens." "You can call any old [s***] a Chinese proverb on the internet." Who knows? Maybe someday one of these might become a Chinese proverb, too.